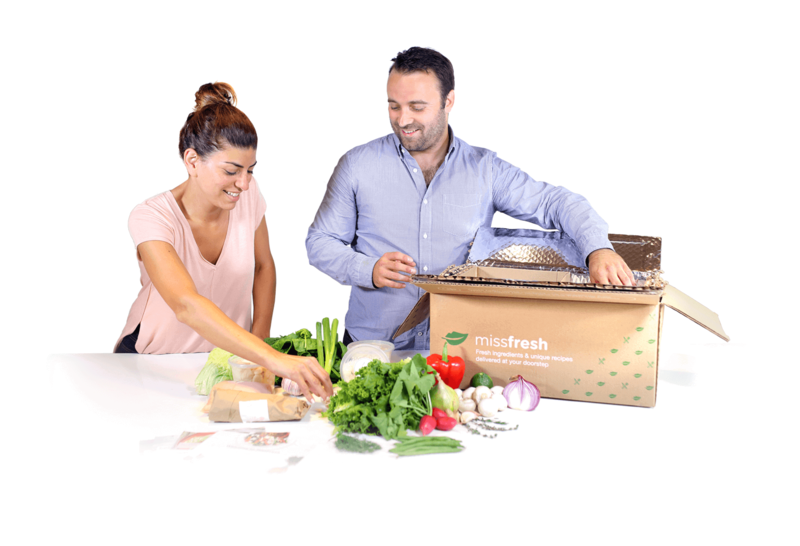 Get $30 off your first dinner box to try MissFresh! Subscribe to our newsletter and get a free menu weekly. 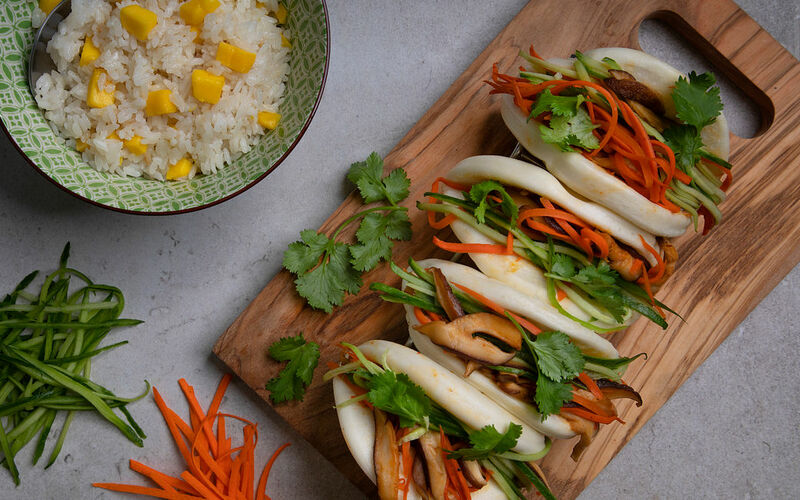 From the depths of Korea, we present you the exquisite shiitake bao: steamed to perfection, garnished with fresh coriander and highlighted with an exciting blend of sauces. 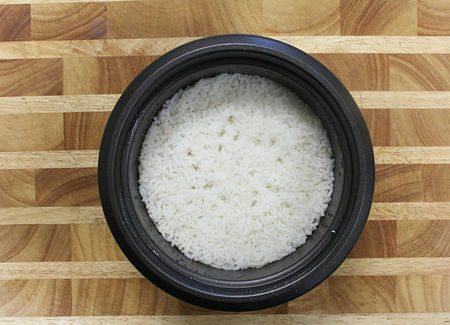 In a pot, bring the rice, water for rice, coconut milk and a pinch of salt to a boil over high heat. Cover, reduce the heat to low and cook for 12-14 min or until all of the liquid has been absorbed. Peel and julienne the carrots and cucumber (thinly sliced). Cube mango. 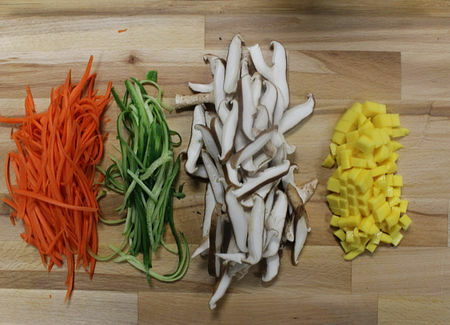 Slice shiitakes. 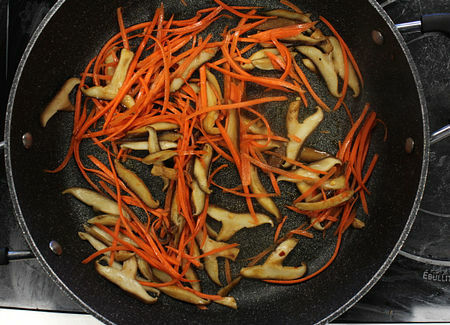 In a pan over medium high heat, fry the shiitakes about 2 minutes in oil. Add the sauce mix (maple syrup, soy sauce, rice vinegar)*, sambal oelek and stir well. Reduce heat, add carrots and water and cook for another 2 minutes. 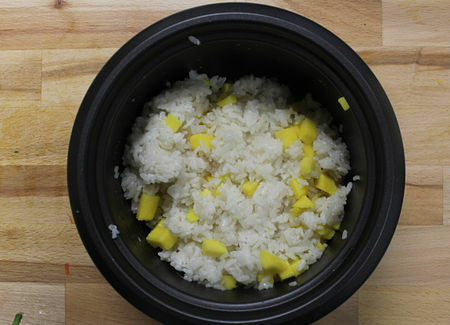 Mix the mango cubes into the rice. 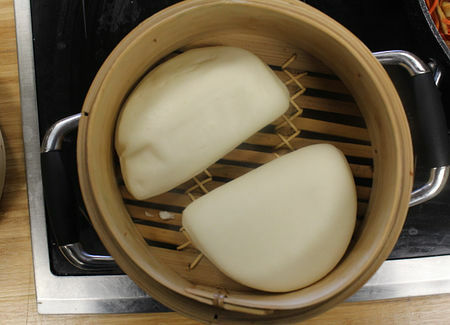 In a steamer, boil a little bit of water and steam the bao buns for 5 minutes. 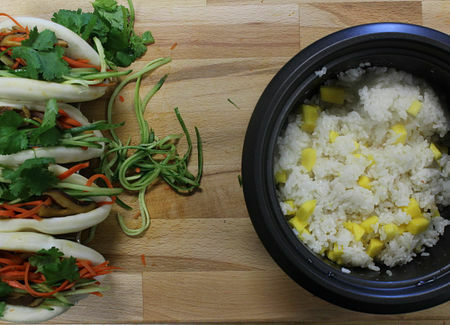 Stuff the bao buns with shiitake mixture and cucumbers. Garnish with coriander. Serve with coconut and mango rice. Error loading... Please try again.